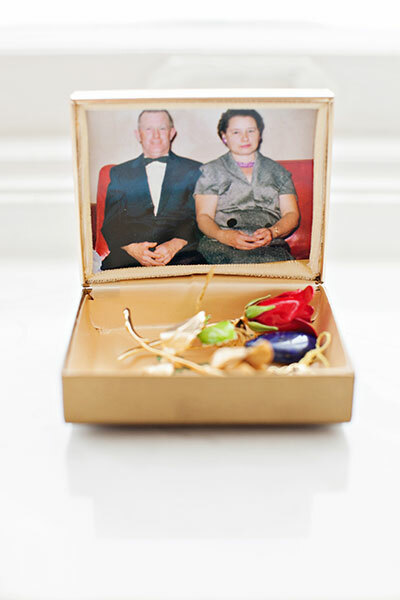 David and Kecia met each other solely by fate. Even though David was only in Roanoke for a one-night work event, he miraculously ended up at the same local bar as Kecia. There, the two struck up a conversation as they were in line for the bathroom. They hit it off instantly and have been inseparable since. For the proposal, David took Kecia to London to visit his family and see his hometown. Upon arrival, Kecia was surprised to learn that David had planned a surprise trip for just the two of them. They drove to Edinburgh where David had made reservations at the Scotsman hotel, arranged a spa day, and planned to take Kecia out for a luxurious dinner at Monteith's. To end the adventure, David took Kecia to the foot of the Edinburgh castle, opened a bottle of champagne, and proposed. 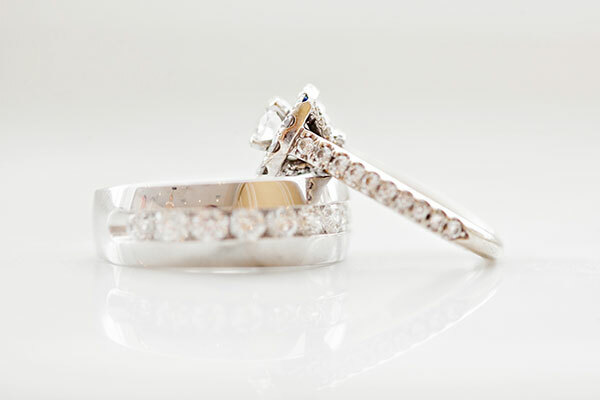 Kecia and David wanted their wedding to reflect their unique relationship, and so many of the details were handmade or customized specifically for them. There were hand-painted goblets that matched the wedding attire, and pebble embossed, Swarovski crystal buckle invitations made by Kecia herself. There was also a twinkling branch arch--a nod to the couple's time in Scotland--that led to the ballroom. Other personal touches included a memory table filled with pictures of passed loved ones, and a guest book hand-painted by David's sister to match the wedding colors. The ultimate personal touch, however, was Kecia and David's handwritten vows and customized ceremony. To further reflect their backgrounds , Kecia and David included nods to both Roanoke and England in the wedding festivities. The wedding party took pictures at the Roanoke Star and enjoyed foods and cocktails from some of Kecia and David's favorite local restaurant like Formosa, Benny Marconi's and Table 50. 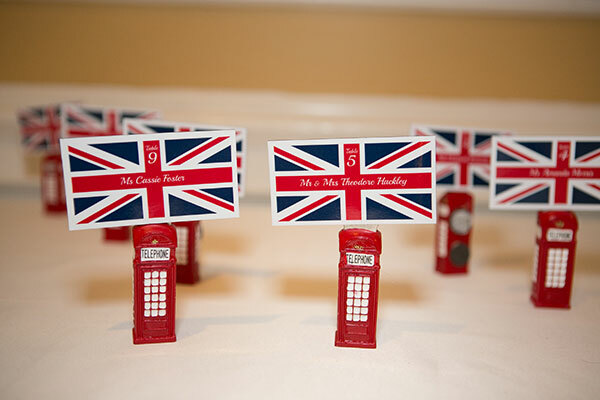 The wedding favors, on the other hand, were classically British: English telephone box bottle opener magnets adorned with the Union Jack. 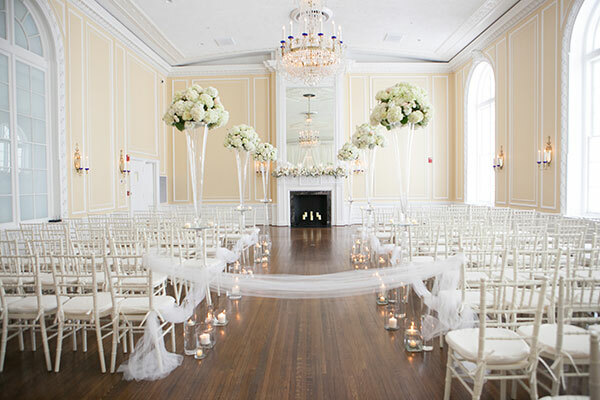 The overall theme of the wedding was elegance with a touch of glam. This was conveyed perfectly with tall, hydrangea rose arrangements and custom made champagne blush linens (for just a little sparkle!) Each guest was treated to a formal, sit-down dinner of lamb, chicken, or salmon, and there were several toasts and fun surprises throughout the evening. David gave an entertaining welcome speech and performed a surprise act during the garter toss. The newlywed couple even got to video chat with David's grandmother in England, and commemorate Kecia's grandfather's 80th birthday. To end the night, the couple made a surprise exit to a limousine, and enjoyed champagne courtesy of Kecia's mother and father. The wedding was followed by a picturesque honeymoon at the Secrets Maroma Beach all-inclusive resort in Playa Del Carmen. There, the couple swam with dolphins, enjoyed private dinners, and relaxed on the beach to kick-off their new lives together. Be sure to see the Purser wedding on page 90 of the third issue of bridebook!